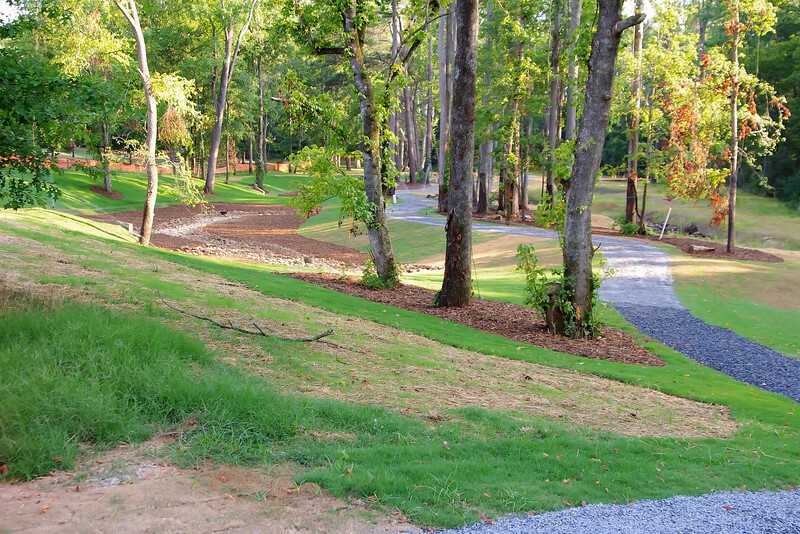 Fall has arrived in Lilburn and our community is a busy flurry of activity here at the end of the month. In addition to the Halloween events, there are so many fall festivals, sports events, conferences, concerts and so on. In the midst of all the hustle and bustle, please remember to take time to enjoy the beauty of our area and reflect on this wonderful community we call home. Savor this month's newsletter and make a point to give us some feedback on items of interest that you would like to see featured or better yet, send us an article that you feel would complement our news items. In this month's issue, you will read about the Lilburn MOMS Club, information on the ongoing SPLOST vote, Diwali Festival of Lights, the recent First 72 Summit for Disaster Planning, Lilburn Art Show, Veteran's Day Observance, Business After Hours, Touch a Truck Family Festival, Lilburn Tree Lighting and Annual Christmas Parade as well as upcoming neighborhood and traffic improvements. Be sure to forward this on to neighbors and friends. For past issues, go to our website Blog page and for free community postings, check the website Bulletin Board. We appreciate your comments and contributions. As this newsletter comes to you free, we hope you will support our sponsors who make this web site and our work programs possible. If you don't have time to read this monthly issue to the end, save it for later and make a note to: remember to vote, set your clocks back one hour on Saturday night (fall back, spring forward) and change your batteries in your smoke alarms. www.LilburnCP.com. 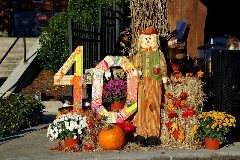 Our neighborhood contest to get $50 toward plant materials at Dorough Landscape Co. ends Nov. 1 at midnight. It's not too late to get your neighbors to register to receive Lovin'Lilburn. Simply forward this newsletter to as many of your neighbors as possible and ask them to register to receive Lovin'Lilburn.. Email addresses are not shared or sold. 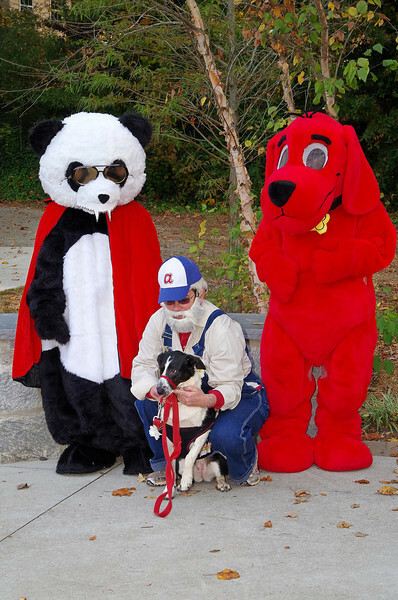 Gwinnett Environmental Heritage Center is going green for Halloween – and hoping you will too! How can you green your spooky holiday? Rather than candy, give collectable treasures like tumbled rocks, coins, bubbles, or art supplies. Reuse, borrow, trade, purchase used or do-it-yourself for costumes and decorations. Choose healthytreats, like organic candy or honey sticks. Save this year's costumes for the annual costume swap starting late September, 2014. You can also go green for the upcoming holidays. Check out 10 Ways to Go Green for Events at the Enviornmental Center website. : And if your specialty is making gingerbread houses, check out Sustainable Gingerbread House Contest to be held in November. 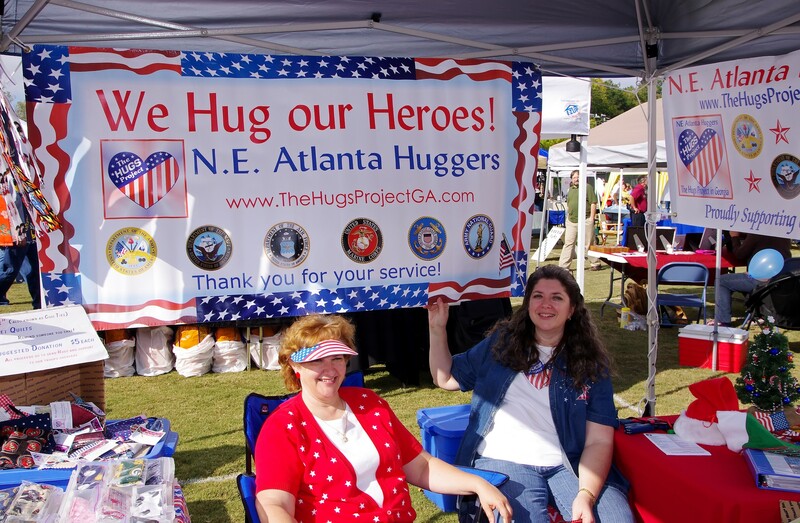 www.gwinnettehc.org. Plan to vote now if you can't vote on Tuesday, Nov. 5. On Monday, Oct. 28 through Friday, Nov. 1, Advance In-person voting takes place at the same locations. 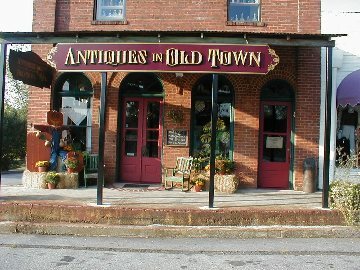 (The locations nearest most of Lilburn is 4651 Britt Road. Norcross, Centerville Community Center, 3025 Bethany Church Rd. Snellville and Elections Office, 455 Grayson Hwy., Lawrenceville). For more info on SPOST projects, read article by Lilburn resident, Mike Levingood further down in LL and check the links: Elections Info and City of Lilburn website for City projects. Set your clocks back one hour on Saturday and change your smoke alarm batteries. Make plans now to attend the Annual BBQ, Bake and Yard Sale At Luxomni Baptist Church on November 2nd! Come on out and enjoy some of the best BBQ you've ever had! The Youth Yard Sale will begin at 8:00 am, and the BBQ and Bake Sale will begin at 10:00 am. All proceeds from the Yard Sale will go to offset the expenses of the youth summer trip. Be sure to share this event with your friends and family! For more information visit the web site at www.luxomni.org. 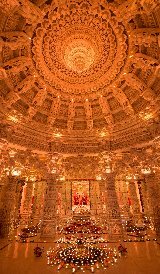 On November 3rd and 4th, the BAPS Shri Swaminarayan Mandir on Rockbridge Road in Lilburn will be celebrating Diwali and the Hindu New Year, two of the most festive celebrations in the Hindu calendar. Diwali, the Festival of Lights, is traditionally marked by placing decorative oil lamps in rows and its colorful festival celebrates the triumph of good over evil. 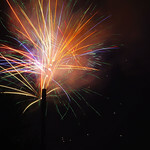 On the evening of Diwali, many celebrate this day with fireworks. 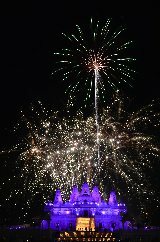 The evening Festival of Lights at the Mandir will begin Sunday evening at 7:00 pm and include a spectacular fireworks display visible from many viewing points in the Lilburn area. The day following Diwali is the beginning of the Hindu New Year and is a time for renewal, reflection and resolution. There is a grand offering of hundreds of different vegetarian food items, prepared lovingly by devotees, to thank God for His providence over the past year and to seek His blessings for the year ahead. The Mandir will host tours for the grand food offering on Monday, Nov. 4, from noon until 4 pm. Visitors are welcome during these celebrations as well as during regular visitor hours (daily from 9am to 6pm). Groups with 10 or more can schedule free tours in advance using the Mandir website. No doubt you will hear more from the organizations that you are involved in the near future about the importance of advance planning in order to survive those first days when the unexpected hits. Whether resident, visitory, caregiver, organization leader or business owner, it is essential that all of us in the community take responsibility for having a plan for surviving the first 72 hours of a disaster until long term help can be mobilized. On Nov. 13, at 3 pm, the community is invited to an open house at the LDS Welfare Facilities at 4823 North Royal Atlanta Drive, Tucker 30084, for a demonstration on preparing for long and short term disasters. RSVP to: rogerwash@ bellsouth.net. and find more info at: www.Providentliving.org. Here are some links that might be helpful as you think about how you would plan for the first three days of a disaster: American Red Cross (check out their apps), Noah's Ark (has a great disaster planning work sheet to help you with all the essentials you need.) Joseph's Network (If you are a company or organization leader and would like to get more involved in disaster planning and recovery.) Portlight Strategies (advocates for ADA in disaster planning), Gwinnett Newton, Rockdale Dept. of Public Health, Georgia Emergency Management Agency, Gwinnett County Department of Human Services. Celebrate our nation's veterans with a recognition ceremony and ice cream social in Lilburn City Park on Sunday, Nov. 10. There will be a display of patriotic quilts at the event that will be donated to members of the military as well as an American flag retirement ceremony. 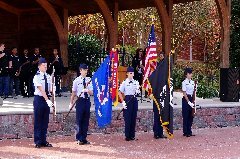 The program presented by City of Lilburn and VFW Post 12096 will begin at 2 p.m. Major Ron Tootle of the Parkview Marine Corps Jr. ROTC will serve as the keynote speaker, and the Gwinnett Community Band will provide music. Ice cream will be served following the celebration. Attendees are encouraged to bring their worn, tattered, and damaged American flags to the event for proper retirement. Lilburn VFW Post 12096 will provide this service free of charge. Quilts of Valor Foundation will be onsite displaying some of the beautiful quilts the group has created for members of the military. The public will have the opportunity to participate in the group’s annual quilt raffle and sign cards for members of the military. Quilts of Valor Foundation will also accept 100 percent cotton, patriotic-colored fabric donations at the event. Business owners and residents, come out to Legacy Station on Thursday evening from 5:30 until 7:30 for an evening of networking and opportunities to meet the business owners from our community. The Lilburn Community Partnership Board members and volunteers will also be on hand to give out information and answer questions about the organization. While at the event, you will also see awesome train displays and be able to do some advance holiday shopping as Legacy Station will extend its store hours for the evening until 8 pm. As an added treat, you can enter the drawing for an O-Gauge Lionel starter train set. The drawing will be held on Saturday, Nov. 16 and you do not have to be present to win. 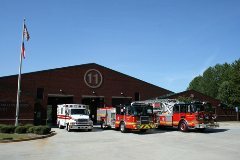 Legacy Station is located at 4155 Lawrenceville Hwy. in the Beaver Ruin Village Shopping Center, (enter near Firehouse Subs and go to the rear of the shopping center). Hallowe'en will soon be here and gone. 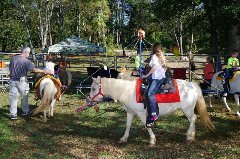 With other holiday activities weeks away, you may be looking for some family fun. The Lilburn Community Partnership and Beaver Ruin Village Shopping Center at 4155 Lawrenceville Highway are hosting a Touch-a-Truck event on Saturday, Nov. 16, from 11 am until 2 pm. The Lilburn Police Department is lining up emergency response vehicles of all kinds, from fire trucks to bicycles. Personnel will be there to allow the children to get up close views of their favorite vehicles, and parents can get the latest safety info. 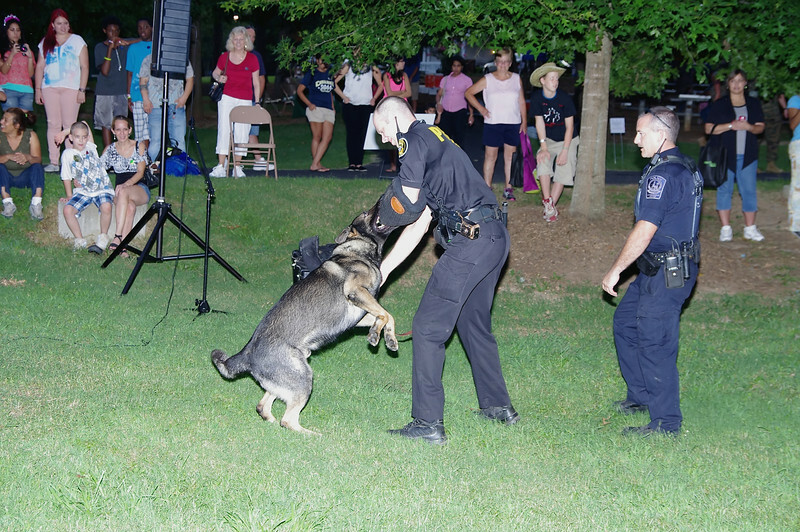 There will also be an opportunity to get to know a police canine from the Sheriff's department. Another highlight will be a performance from the Berkmar High School Band. Several shopping center merchants have already announced some special promos and gifts. 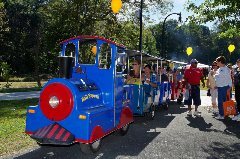 As of Oct. 25, Kroger will have a drawing for a gift basket, Music-Go-Round will have a drawing for five $10 gift certificates, Great Expressions Dental Center is offering 35% off a dental care plan as well as a free teeth whitening kit and Legacy Station will be holding a drawing for a Lionel O-Gauge starter train set complete with engine, cars, and oval track! Check back on the Lilburn CP Community Bulletin Board for updates on promotions. School is back in full swing again and with it comes football, basketball, soccer, baseball, school plays, concerts, and more. If you are a Gwinnett County resident who is 65 or older, you can enjoy these great activities for free! Gwinnett County Public Schools offers a pass that gives you access to any school-sponsored athletic or fine arts event. These passes are not valid for regional or state competitions. For details on how to apply for a pass, please call 678.301.7274. Thank you, GCPS! Annual Christmas Parade Participant and Sponsor Registration Is Open! 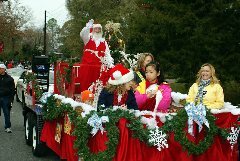 Join your friends and neighbors as the City of Lilburn proudly presents the annual Lilburn Christmas Parade on Saturday, December 7. This year's parade theme is "My Favorite Holiday Memory". Mrs. Claus will serve as Grand Marshal for the parade. 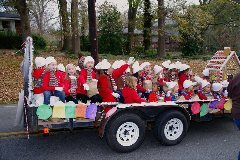 The parade begins at 10 a.m., winding down Main Street to Lilburn City Park. 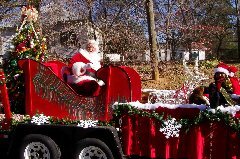 Following the parade, parents are welcome to take pictures of their children visiting with both Santa and Mrs. Claus in Lilburn City Park. There will also be entertainment and activities in the park. Refreshments will be available for purchase. 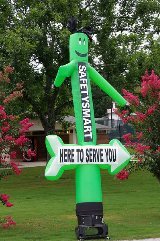 The City of Lilburn is installing decorative mast arms, dual lanes and a sidewalk along the east side of Killian Hill from Arcado Road to Trickum Middle School. The project is expected to take 10 months and is part of the City's initiative to improve traffic, pedestrian safety as well as defining the City environs with attractive signaling. Join us as we welcome the holiday season with the lighting of the tree in front of City Hall. After the tree lighting, children are welcome to stay and listen to a variety of holiday stories. Entertainment will be provided and coloring contest winners will be announced! The event runs from 5-7 pm. More info at www.cityoflilburn.com. Representatives from Lilburn Co-op will be at the event collecting canned goods. Donations may be brought to the event or dropped off at City Hall during normal business hours beginning on Friday, November 22. For a list of canned goods being accepted, please visit www.lilburncoop.org. Hanarry Estates residents will be getting 4 miles of water mains replaced by Gwinnett County Department of Water Resources. The county contractor will install new water mains on Linda Lane, Ben Avenue, Ben Court, Theresa Way, Dorsey Circle, Dorsey Court, Bruce Way, Fieldstone Way, Fieldstone Court, Beth Court, James Street and Johannah Place. The project is estimated to cost $1.68 million, and the funding comes from the storm water fees charged on the the water bills. 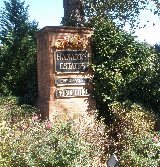 Hanarry Estates is one of the older subdivisions in Gwinnett dating back to the late sixties and early seventies. Gwinnett County Department of Water Resources tracks water main breaks and aged water infrastructure and is in the process of replacing old water mains before they become major problems. So while the project may cause some temporary inconvenience, the end result will avoid major inconvenience later and help maintain property values. LILBURN, Ga., Oct. 4, 2013 -- Gwinnett citizens will have the opportunity on November 5, 2013 to renew the penny sales tax, also known as the Special Purpose Local Option Sales Tax or SPLOST, which expires early in 2014. 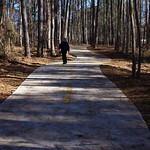 Since 1985, Gwinnett County has used seven SPLOST programs to construct and pay for more than $2.5 billion in county and city capital projects like the Gwinnett Justice and Administration Center, the Gwinnett Civic Center, transportation and traffic improvements, roads and bridges, public safety facilities and equipment, our nationally recognized parks and recreation facilities, as well as water and sewer improvements and libraries. Because of SPLOST, over the past 28 years these projects have opened for use by Gwinnett residents and visitors debt free. 2009 = $579.1 million so far. If voters approve renewal, the 2014 SPLOST is projected to pay for $498 million of additional capital improvements over a three year period starting April 2014. Gwinnett County and all 16 Gwinnett cities have agreed to share the proceeds. The new program is expected to raise an estimated $498 million in total. Gwinnett County will receive 78.9 percent of the proceeds and the cities in Gwinnett will receive 21.1 percent and so $392.9 million is expected to fund County projects and the balance of $105.1 million is expected to fund improvements in our Gwinnett cities. Said another way, the proposal is expected, on average, to generate $13.8 million each and every month! The county has determined that 70 percent of its share, or an estimated $275 million, will be dedicated to transportation projects such as roads, bridges, intersection improvements and sidewalks, including $25 million for joint city/county transportation projects. The proposed SPLOST program also includes funding for other purposes such as public safety, parks, library relocation and renovation and senior facilities. Each of the cities has proposed their own budget for these funds. Beaver Ruin Village Shops@ 4153 Lawrenceville Hwy. Mango Grill Pleasant Hill Shopping Center 3870 Lawrenceville Hwy. Glass Nails Pleasant Hill Shopping Center 3870 Lawrenceville Hwy. Now thru Nov. 1, Advance voting at Satellite locations and Elections office. Nov. 3-4, Diwali Festivities at BAPS Mandir on Rockbridge Rd. in Lilburn. Wed. Nov. 6, 6:30 pm, Astronomy program Lilburn Library. Tues. Nov. 12, at 8:15 am, Lilburn Community Partnership Board Meeting, Lilburn CID office at 3870 Lawrenceville Hwy. Suite C-106 (near Pleasant Hill and L'ville Hwy.) Vistors welcome. Thurs. Nov. 14, 5:30 until 7:30 pm, Business After Hours sponsored by Lilburn Community Partnership at Legacy Station located at 4155 Lawrenceville Hwy, Lilburn. Saturday, Nov. 16, 11 am until 2 pm, Touch-a-Truck Family event in Beaver Ruin Shopping Center, 4155 Lawrenceville Hwy. sponsored by Lilburn Community Parntership. A Sincere thank-you to Richard Ferris for his photo journalism that chronicles memorable times in our community. Mon. Oct. 14, 5:30-6:30 pm, Lilburn Community Partnership Info meeting, Lilburn City Hall. Thurs. Oct. 31, deadline to drop off "Thank You Soldier" letters. See details at right. Read below for time sensitive information and events in our community and forward this on. Come Monday, Oct. 14 to Lilburn City Hall auditorium after work for a short, informative meeting on how you can make a positive difference in our community. Details will be given on how your organization or business can be included in the Web site Community Directory as well as publicizing neighborhood news and business events. Also, find out more on the Neighborhood Email Address competition which could award your subdivision a $50 gift certificate for landscape materials. 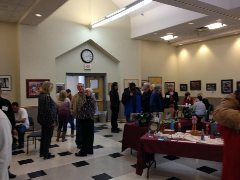 Fall Juried Art Exhibition entry deadline is Oct. 19. Details at: www.lilburnartsalliance.org. Mon. October 21, 7 pm. Panel will include Kim Conroy, Dir. Gwinnett Dept. of Transportation, Phil Hoskins, Dir. of Gwinnett Community Services, and Bill Johnsa, Lilburn City Manager. Discussion will include County and City proposed SPLOST projects. Presented by the Lilburn Woman's Club. Deadlines for submissions is October 31, 2013. All letters must be on 8.5" x 11" paper or smaller. • Please do not use glue, tape, staples, cardboard, glitter or otherwise attach anything to the paper. You can decorate using crayons, markers, pens or pencils. • Use both sides if you like, but use one page per letter only. • Please do not send greeting cards or photographs. • Feel free to include your mailing and email address - sometimes military members will write back! • Individual letters should not be sealed in envelopes. • Please do not send anything except letters! We cannot accept donations of any kind, and they should not be included or attached to letters. See details below for a great writing contest for teens. person at a Gwinnett County Library Branch. contest entry form will be discarded. Winners will be chosen based on style, content, and originality. The first 200 entries will receive a coupon for a free 8” pizza from Riverside Pizza. posted on the library’s website and/or displayed in the Teen Area collections. Look for our next issue of Lovin'Lilburn to come out later this month. In the meantime, check our Web site for information on our community. www.lilburncp.com. Welcome to our first edition of Lovin’Lilburn, your monthly community newsletter that will connect you with our neighborhoods, schools, businesses, organizations, churches, events and surrounding areas. As this is our first run, no doubt there are some short comings and features that you would like in future editions. We are looking for suggestions and know that the end result will be a newsletter that truly reflects our community. 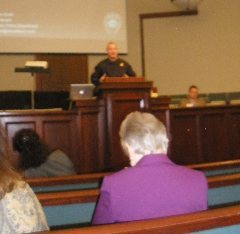 As you read, you will be directed to Web sites for more info as well as the Lilburn Community Partnership Web site. 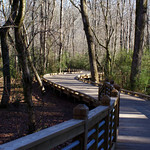 When you get to the Lilburn CP Site, take a few minutes to explore. The Site is a work in progress, and has tremendous potential to inform and connect our community. We live in a great community, and it is no wonder that Money Magazine recently singled out Lilburn as one of the top affordable places to live! Lovin’Lilburn seeks to give you some positive news and interesting features from around our area. If you are interested in volunteering to improve LL, please contact us at info@LilburnCP.com. To learn more about the greater Lilburn community and the Lilburn Community Partnership, check out our Web site at www.LilburnCP.com. In the meantime, take a break and read about what’s happening in our community. It's fall and soon it will be time to rake leaves and spruce up our neighborhoods for the holiday season. To help get you in the spirit of getting your neighbors together, and help LL expand its readership, we have a great contest that starts Oct. 1 and runs through Nov. 1. Step 1 is to forward this newsletter to as many of your neighbors as possible and ask them to register to receive Lovin'Lilburn. When they register, they note their neighborhood and email address. 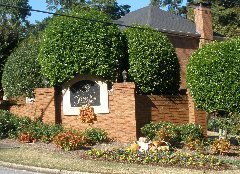 The five top neighborhoods with the most email addresses registered will get a $50 credit for shrubs, perennials, and pinestraw at Dorough Landscape Co. These items will likley be needed as you gather together for fall clean-up and replanting. Winners will be posted online and notified through email. Email us at info@LilburnCP.com telling us who your neighborhood leader is, and we'll notify the winning neighborhood through email and follow up phone call. Click here for Link. We here in Lilburn are so excited that the 1910 Public House has opened. My husband and I were there on opening night August 30. When we arrived we were greeted at the hostess desk by Danny, the General Manager of the 1910 Public House. We were seated and ordered an appetizer, the 1910’s Pimento Cheese served with homemade crackers and pickled vegetables which was outstanding. For dinner I chose the Corn Dusted and Sautéed Trout, which was prepared with Brussels sprouts and curried sweet potato in a ginger brown butter reduction. The meal was beautifully served and was a very generous portion. Attention Business Owners and Organization Leaders! Lilburn Community Partnership is asking you to participate in our Community Directory. Inclusion in the Directory is free for business owners whose businesses are in the CID and Non-profit, civic, and HOA's. Non-CID City businesses are $25 and Non-CID/Non-City businesses are $50. This is a one time fee. Sponsorship ads are also available. See the Web site for more details. If you have been on the Lilburn Greenway Trail lately, you have noticed the red with black dotted ladybugs which the Ladybug Garden Club places for trail users to enjoy. 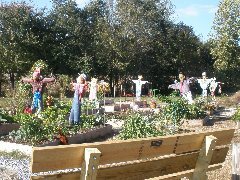 The Garden Club members, known as the Ladybugs have taken the six or so miles of trail under their wings (pun intended) since 2010 when the flood waters washed out the original plantings. The members, who reside in Lilburn, Stone Mountain and Lawrenceville areas, have lovingly tended the plantings and weeded the beds. They decided to plant only native species in the garden beds of Phase II, from Main St. to Killian Hill Rd. In an effort to educate the public on the benefits of native plants, they labeled the plantings, which are low maintenance and resistant to insects and disease. Some of the plants installed are: Oakleaf Hydrangea, Columbine, Beautyberry, Cardinal Flower and Purple Coneflower. For a complete listing of the plants, please click Ladybugs Native Plants. Jo Pell Holbrook, president of the club said, “We hope people who walk the trail will enjoy the experience of seeing the many different plants and shrubs. We hope the gardens speak to visitors that Ladybugs are proud of our community and are striving to make it a destination they will want to visit often! “A big thank you to the Ladybugs for their long-term commitment to beautifying the Trail. Interested in volunteering for various projects? Clink this link to go to Friends of Lilburn on our Web site. "Adventure Mountain" water fountain in City Park will be part of this year's festivities. 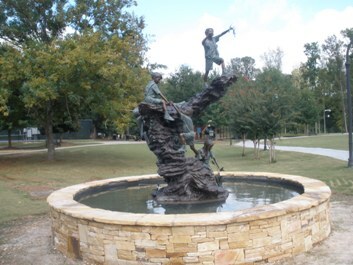 The fountain was made possible by Lilburn Idol funds, City Pubilic Art funds and Lilburn Woman's Club contributions. 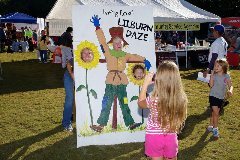 Lilburn Daze will be the best ever featuring vendors, crafters and lots of fun for the children. See LilburnDaze.org for more details. 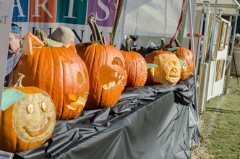 The Lilburn Arts Alliance will feature a Pumpkin Carving Contest at the Lilburn Daze Festival. Check out the details at their Web site for this contest and other future events. 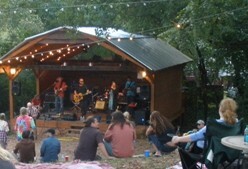 www.lilburnartsalliance.org. 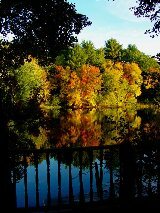 Do you have a detenion pond on your property? Would you like to possibly reduce your stormwater utility fee? Gwinnett County Stormwater Management Division is holding a detention pond maintenance workshop on Thursday, November 7, from 7:00 p.m. until 8:30 pm. at Gwinnett Justice and Administration Center, 75 Langley Drive, Lawrenceville, GA 30045. The workshop will cover how to recognize when a problem exists, how to maintain the vegetation and structural integrity of your dentention ponds, and tips on control of possible pest populations. Attendance at the workshop may help you qualify for a 5% credit toward next year's stormwater utility fee. Attendance - children need to be at school every day and on time. Read with your child and/or have them read to you at least 30 minutes every day. Play math games. Math is everywhere - find it! Keep lines of communication open with teachers and school staff. Teach children manners: please, thank you, excuse me, I'm sorry. Be a part of the School Team - attend meetings, events, and join PTA --From Jenny Nall, Assistant Principal, Lilburn Elementary School. For more on schools - GCPS www.gwinnett.k12.ga. Join your friends and neighbors as the City of Lilburn as we welcome the holiday season with the lighting of the tree in front of City Hall on Saturday, Nov. 30 from 5-8 pm. After the tree lighting, children are welcome to stay and listen to a variety of holiday stories. Entertainment will be provided and coloring contest winners will be announced. This year, the Lilburn Co-op will be on site collecting canned food for those in need. In addition, attendees will be able to drop off pet food donations for Daffy's Pet Soup Kitchen. 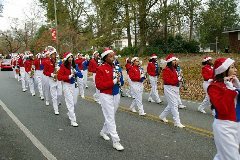 Then come back to Lilburn on Saturday, Dec. 7 for the annual Christmas Parade. This year's parade theme is "My Favorite Holiday Memory". Mrs. Claus will serve as Grand Marshal for the parade. 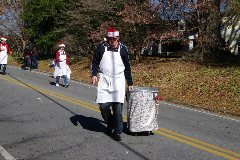 The parade begins at 10 a.m., winding down Main Street to Lilburn City Park. Following the parade, parents are welcome to take pictures of their children visiting with both Santa and Mrs. Claus in City Park. 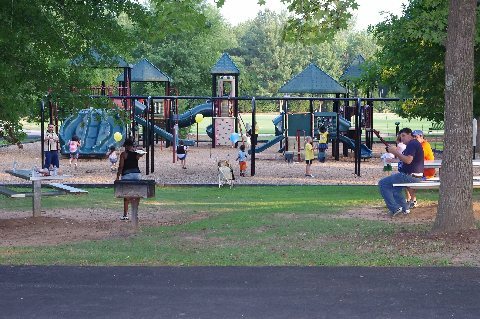 There will also be entertainment and activities in the park. Refreshments will be available for purchase. 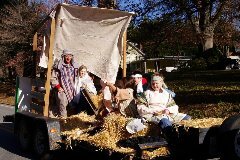 Click here for parade application for float and organization entries. Deadline is Nov. 15, 5 pm. 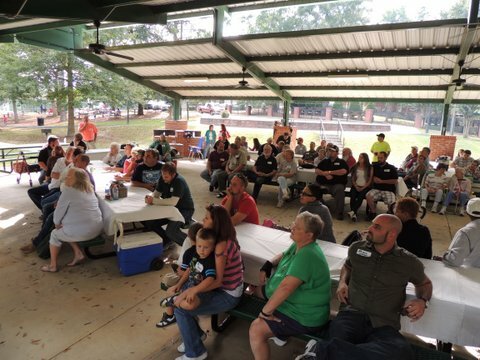 Beaver Hills Civic Association held a general membership meeting in September which featured a presention on the newly reorganized Lilburn Community Partnership. Diana Preston, LCP Board Secretary, summarized the efforts of the LCP Board to engage the residents and the businesses to help make Lilburn a prosperous and vibrant community. The group of 25 was very enthusiastic with the possibilities that Preston presented. To schedule an info meeting with your neighborhood, business, or organization, contact Ms. Preston info@LilburnCP.com. 1. Everything starts with food. There are trillions of written words on Diet. CrossFit Developer Greg Glassman sums it up ver effioceintly. "Eat meat and vegetables, seeds and nuts, some fruit. little starch and no sugar." 2.Drink Water. Lots of water. 3. Mother said stand up straight. She was right. Posture affects your spine and the health of your nervous system. All things happenthrough your nervous systen. If it doesn't function, neither do you. 4. Move your body. Humans are made for performance, not for sitting at a desk all day. 5. Stay focused and positive. The power of positive thinking is a start but referring back to #4, you cannot sit on the couch and positively say, "I want to be thin. I want to be healthy." You actually have to get off the couch and move your body hard! 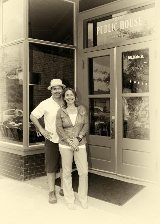 Scott McCreedy opened the doors to MOMS at 113 Main St. just a mere two and a half years ago and immediately began making a positive difference in the Lilburn downtown area. He renovated the house which had been a residence into a full service music school complete with recording studio and outdoor performance venue for Saturday performances. With all this going on, Scott and his wife Alicia found time to give back to their new community: volunteer judge for Lilburn Idol, gratis entertainment and/or sound for numerous events including the Lilburn Relay Rally, Lilburn Daze, Sparkle in the Park, the Christmas Parade and most recently a benefit for CURE. Recently Scott had an unexpected medical emergency and exorbitant medical bills followed leaving him reeling at the thought of worrying about his new business expenses and supporting his family. This past Sunday, from 2 pm until 8 pm, organizers put on a benefit, called Big Love. Many from the community came out to show the McCreedy Family what Lilburn Love is all about. Despite Scott's surgery and recovery, the outdoor Saturday evening concerts (7pm -10 pm) are continuing through October: Oct. 5 - "Strung Like a Horse," Oct. 12 - "Copious Jones," and Oct. 19 - "Ramblers." See MOMS for more info. 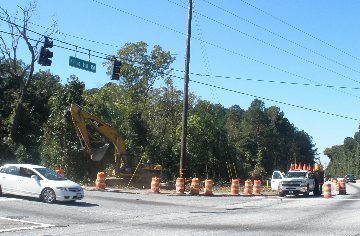 A Tunnel is Coming to Lilburn and You Can Help! A mural depicting a tunnel has just begun on the side of the Cofer building in downtown Lilburn. Sonny Franks has long dreamed of a mural, and it is about to come true. He is the artist behind this vision and you can help make this vision a reality. 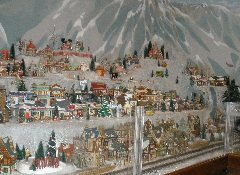 Mayor Crist announced at the Town Hall meeting a few weeks ago that "anyone who helps with painting the mural will have his or her name included on tthe credit for the mural." Of course Sonny will make sure you paint within the lines! So come out during Lilburn Daze as it will be "in progress." Sunday, September 29 was a day that over 100 attendees will long cherish. 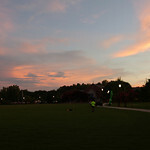 They came together in Lilburn Park at the Gartrell Nash Pavilion to reconnect and remenisce about childhood, growing up, making friends, and achieving goals. 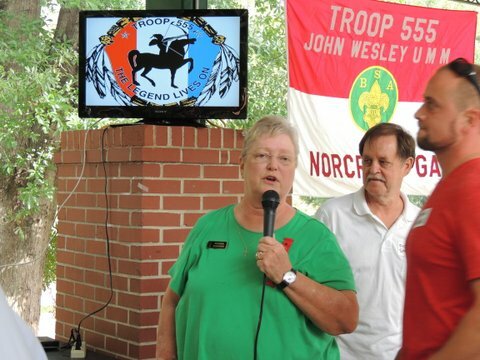 What all these attendees had in common was that they were a parent, a leader, a spouse or son/daughter with a connection to Boy Scout Troop 555 which had been based at John Wesley Methodist Church on Jimmy Carter from 1972 until 2009. During that time hundreds of young boys/men went through scouting and some of them attained Eagle Scout, one of the highest awards of Scouting. The Simmons, Hytowitz, Adams, Frisch, and Cabe familes had been planning the event for the last six months. Dr. Simmons composed a wonderful video of Troop 555 through the years and everyone contributed a wonderful display of memorabilia. One Eagle alum called in from duty in Germany to tell everyone he was thinking of them. Evidence of Troop 555 has long been felt in Lilburn as some of their scout projects included making benches for the park bat boxes, constructing shelves for storage and a white picket fence (before the 2005 renovation). The white picket fence is all that remains of the many projects as it was moved to the Wynne Russell House when the Park was renovated. But more than that, it was wonderful to see what an impact scouting has made on individual lives. In talking to the former scouts, one could tell that they were continuing their service to the community in many ways - youth coaches, leaders, and some thinking about running for political office. No doubt Troop 555 will continue to make its presence felt throughout the community and the world. Oct. 7 - Last day to register and be eligible to vote in County Special Election for SPOST. Oct. 14 - Absentee by Mail begins, advance in-person voting begins @ election office only. Oct. 26 - Advance Voting at Satellite locations and Elections Office. Oct. 28 - Nov.1 - Advance in-person voting. Nov. 5 - Special election at assigned polling places. More info @ Gwinnett County Elections Office. Wed. Oct. 1, 6:30-7:30 pm and Mon. Oct. 14, 5:30 -6:30 pm, info meetings on Lilburn Community Partnership - City Hall Aud. 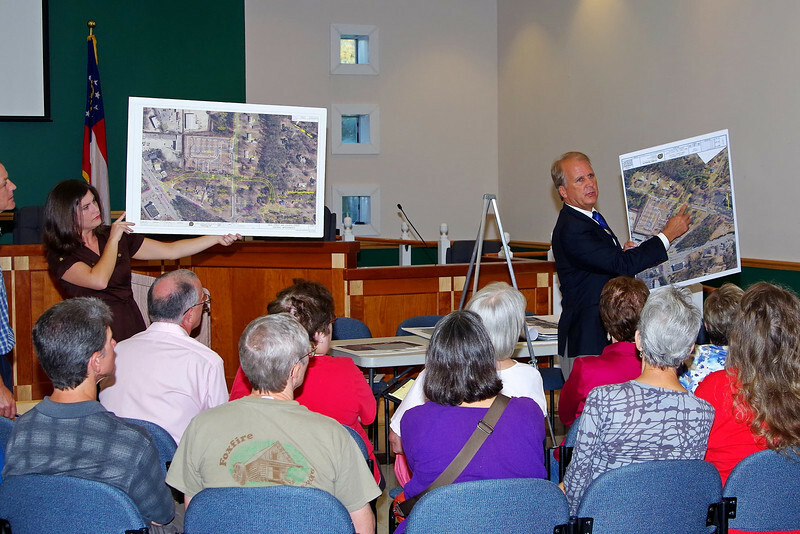 76 Main St.
Public Input meetings for SPLOST Senior Projects at 10:am, Oct. 3 at the Norcross Senior Center at 5030 Georgia Belle Court, Norcross and 10:am, Oct. 4 at the Lawrenceville Senior Center, 225 Benson St., L'ville. 770-822-8833. Sat. Oct. 5, 9:am - Gwinnett Great Days of Service, at Lilburn Middle School , Registration link. Sat. 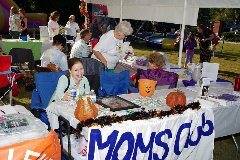 Oct. 12, 9am-4pm Lilburn Daze Arts Festival at Lilburn City Park, 76 Main St., Lilburn. Free. Tue. Nov. 12. at 8:15 am Lilburn CP Board Meeting at CID office in Pleasant Hill Shopping Center, 3870 Lawrrenceville Hwy. Thurs. Nov.14, 5:30 - 7:00 p.m. Lilburn CP Business after Hours at Legacy Station, 1453 Lawrenceville Hwy. Get to know our business community. Sat. Nov. 16, 11:am - 2:pm, Beaver Ruin Village parking lot, "Touch a Truck" community event hosted by shopping center businesses, with entertainment by Berkmar HS Band. Free. Saftey Checks for child car seats at the Lilburn Police Department every Thursday. Gwinnett County Comissioners Work Sessions are held at 10:00am and Business Sessions at 2:00pm on the first and third Tuesdays of the month. Public Hearings are held 7:00pm on the fourth Tuesday of the month at the Gwinnett Justice Adminsitration Building at 75 Langley Ave. Lawrenceville. Thanks to Richard Ferris, another great volunteer, for many of the photos in this newsletter.